As a teacher I acquire many unusual gifts. Students have shown their appreciation with leftover lunch, Sonic Hedgehog sketches, and miniature bibles. Once I got a Christmas card with some grocery store coupons! This was a stressful week at school. Being short staffed meant extra responsibility for everyone, less sleep, and less time to stop and just appreciate teaching. Wednesday morning was especially hectic, and the weekend was nowhere in sight. When I got to school I realized I had forgotten my lunch at home, and discovered the photocopier was not working. At 7:00am one of my students saved the day by knocking on the teacher’s lounge and bringing me a plate of warm enchiladas. 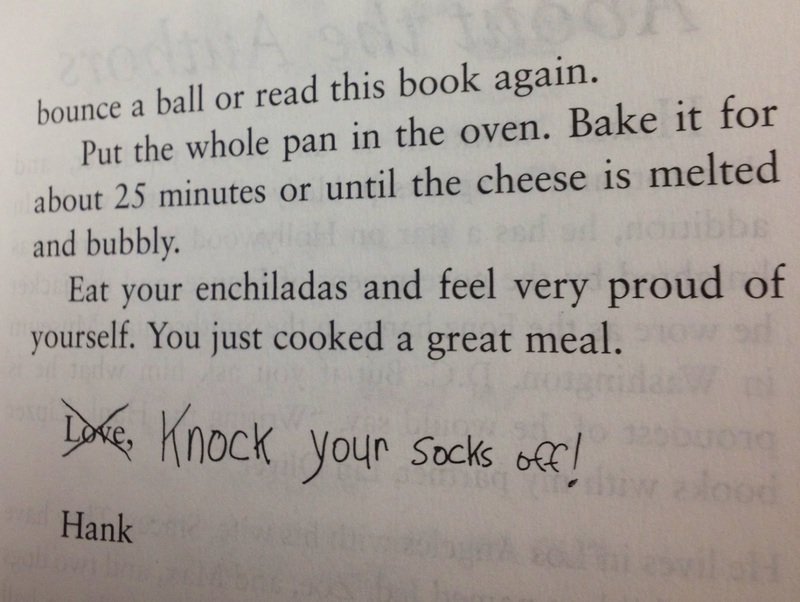 This avid reader, and aspiring chef had just finished reading Holy Enchilada, the story of a student organizing multicultural week at school. 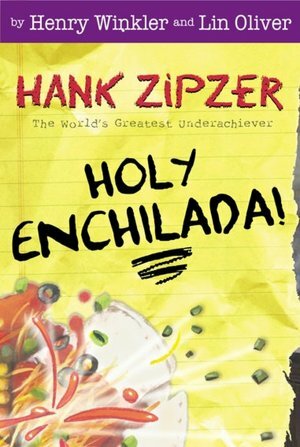 In the story, Hank accidentally uses three cups of chili powder instead of 1/3 of a cup, and is accused of playing a practical joke on the teachers. 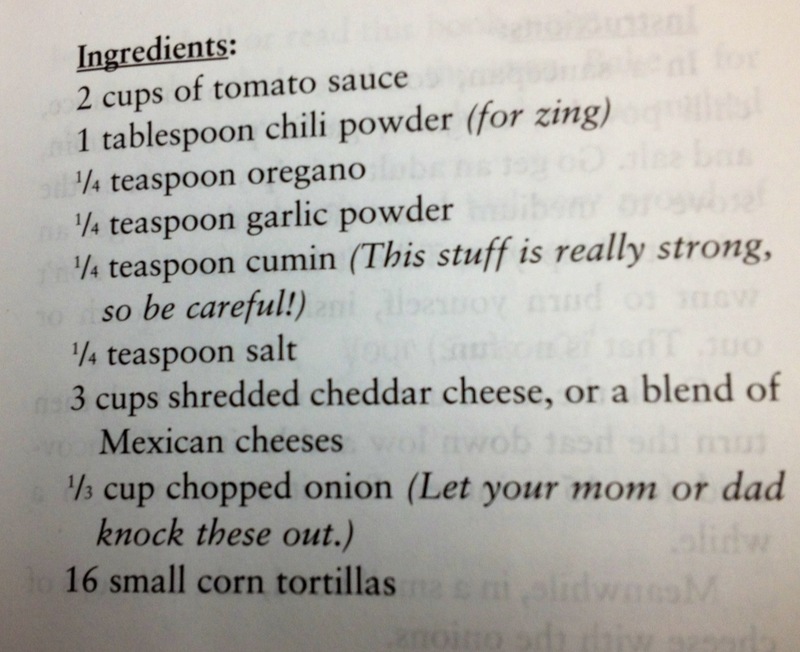 The book ends with a zingy, yet safe enchilada recipe. 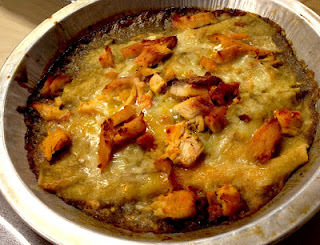 My student surprised me by preparing the cheese enchiladas, and WOW it was OUTSTANDING! No practical joke on me 🙂 He topped the cheese enchiladas with moist chicken, the sauce had the perfect amount of spice, and the tortillas were not the least bit soggy. I never could have created something this tasty at 11! 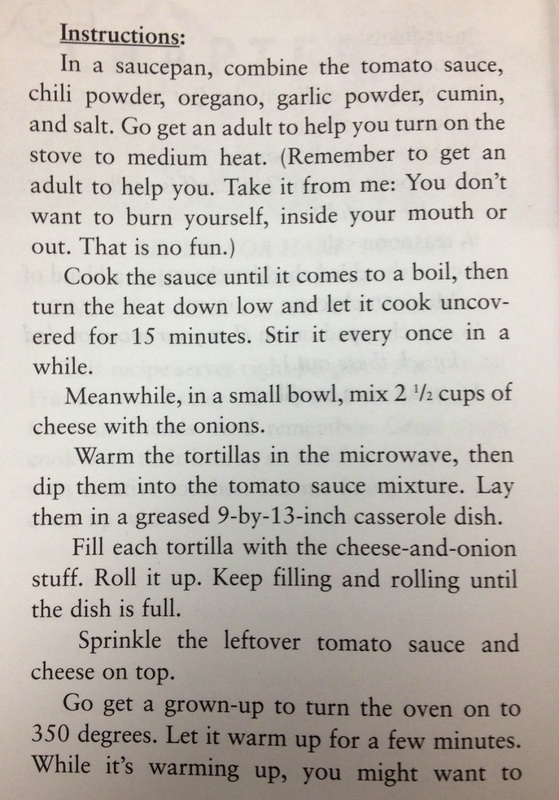 I can’t believe I am recommending a recipe from a children’s book, but if you’re feeling like red sauce enchiladas, go for this! It won’t disappoint. I love that our students are into cooking! It makes me so excited to see kids building skills other than playing sports or video games. And who doesn't love a man that can cook? He is going to be one sought after gentleman!